Stump grinding that destroys the tree, not your wallet. Don’t try to tow out a tree stump. Save yourself the strain on yourself and your car’s tow bar with one call to the Perth experts in stump grinding. Removing the tree yourself can be difficult, not to mention timely – and when you aren’t sure what you’re doing, it can be dangerous, too. Why not leave it to us? We know what we’re doing. 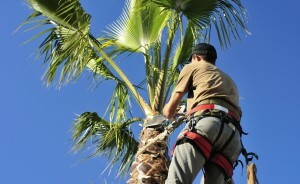 With years of experience in the local area, there’s nothing we haven’t seen and nothing we don’t know how to remove. 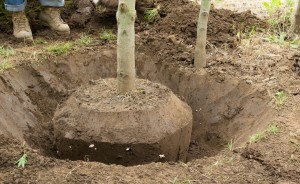 Our highly professional technicians can offer solutions for removing any stump, anywhere. No squeeze is too tight – we’ll find a way! It’s pertinent that you remove stumps before they begin to pose a hazard. Apart from being an obstacle and reducing the beauty of your yard, a tree stump is the perfect environment for some of the worst pests in Perth. Both living and dead tree stumps are frequently home to termite colonies, who can make a bad situation worse if they migrate into your home or to any external wooden structures. Your home is your biggest investment – protect it with help from us. We use the same high quality of supplies and equipment during grinding as with any other service we provide. For smaller trees we use a reliable and highly efficient Rayco RG20 grinder and a Rayco RG50 4×4 for larger tree stump grinding jobs. 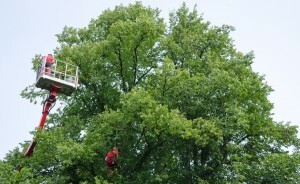 Need tree removal or trimming at the same time? We can accommodate that! With more than five years’ experience in the Perth industry, we are confident we can help you, no matter what the job and where it is. 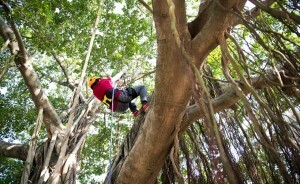 Put yourself in good hands; Urban Tree Lopping promise satisfaction at an affordable price. Our services are available 24 hours a day, seven days a week meaning we can work around your schedule. Call our experts today on 0412 556 308 for tree stump removal across Perth – from Mandurah to Yanchep. It’s the best thing you could do for your yard!